I had purchased this Hong Kong and in East Asia, these are names Lip Polishes whereas it’s known as Color Elixir elsewhere. A combination of a lip balm, lip stick and lip gloss in one. This is in the shade Glam 6 however it could either be in Raspberry Rhapsody or Amethyst Potion in the west. Unfortunately these aren’t available in the UK. 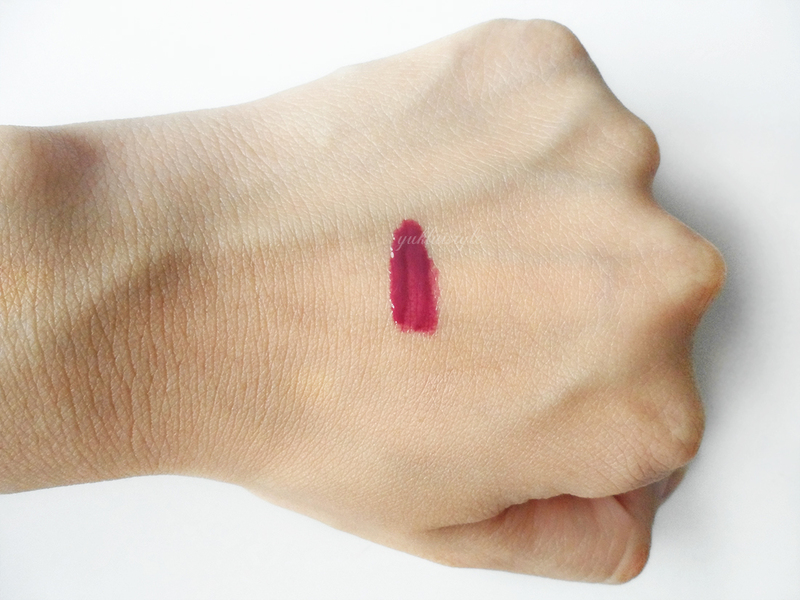 A deep berry shade with no shimmer. With a single swipe, it covers the lips beautifully and even with great pigmentation without leaving a sticky, thick residue or emphasising fine lines. It doesn’t have a high shine outcome and made my lips look fuller. It also doesn’t come out as dark as what you see on the wand. The shape of the soft wand allows me to define my lips easily. It leaves magenta stain if you wipe it off and it is quite nice. This doesn’t dry the lips and I could apply it straight away without lip balm. The lasting power after eating and drinking was around 3 hours and leaves a stain. The stain was easily removed with makeup remover. There is no alarming scent, then again, I can’t smell anything. I have read reviews that there is a scent in the western products however I cannot confirm this right now. A clear lip liner would be beneficial as it does bleed at times. 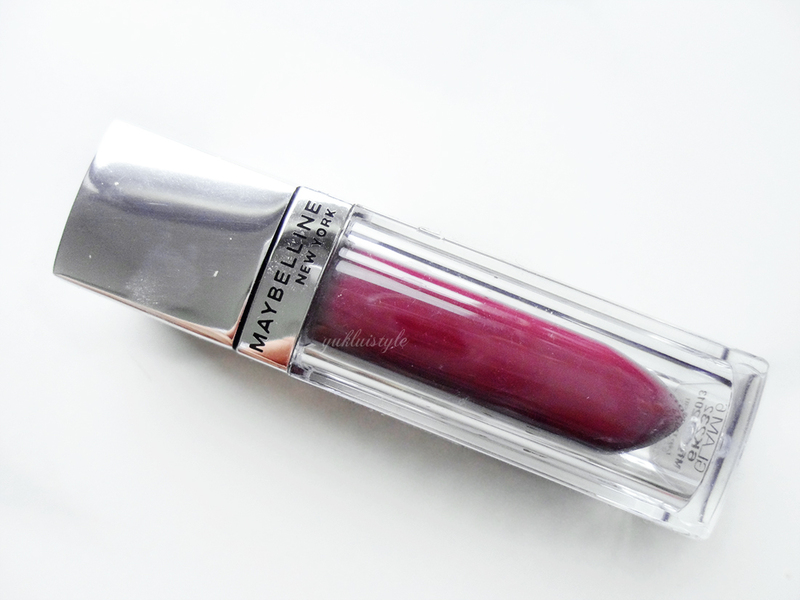 The packaging is cute with the shape of a lipstick inside a clear plastic packaging. This is definitely a cheaper alternative to the YSL glossy stains and would recommend them if you’re on a budget. There is a great colour choice and I prefer these over lip glosses any day. Oh!!! The color looks amazing! Is elegant!! it looks a little scary in the tube, but that's actually such a pretty color!! This colour really suits you babe, perfect with your hair! wow, that shade really suits you! haven't seen this in my local drugstore yet, will probably pick one up when i see one. 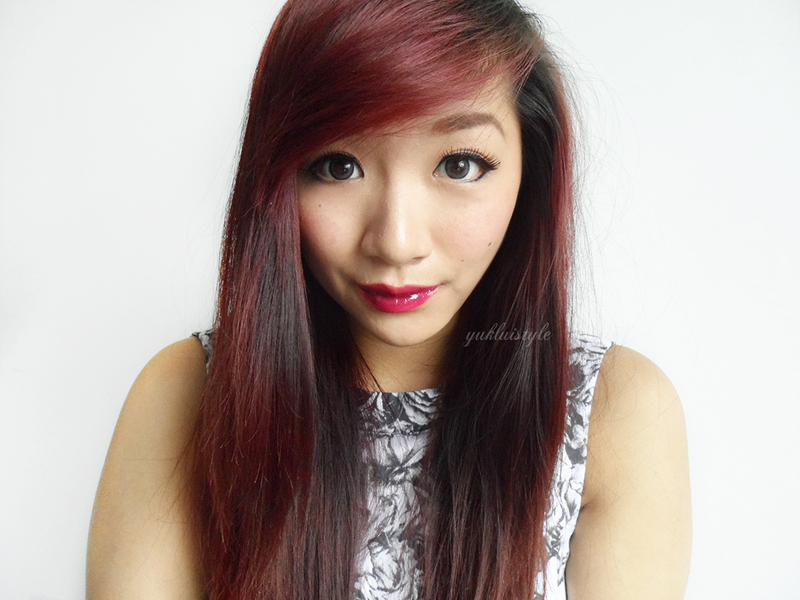 Oh gosh, I love lip polish so much !!! 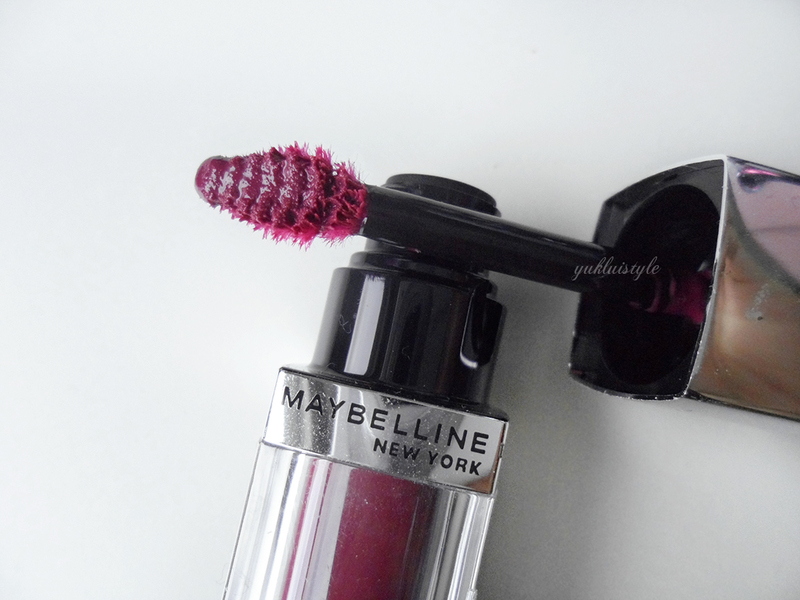 The shade look great on you..
You really suit the strength of colour and the cool berry shade is great on your skin. the color is absolutely fantastic and also beautiful.. I've never tried it but I like the final look. Lips look so wet and glossy. Really nice. The color is really beautiful and it looks great on you. I have two colors from this line. This color looks gorgeous on you!